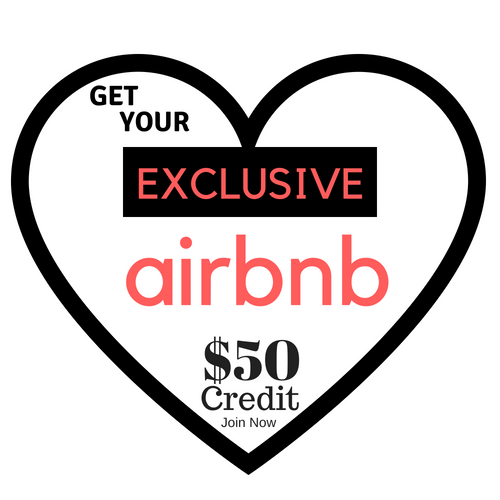 Welcome back to week 5 in our awesome blog series, helping you to plan the Best Family Vacation! 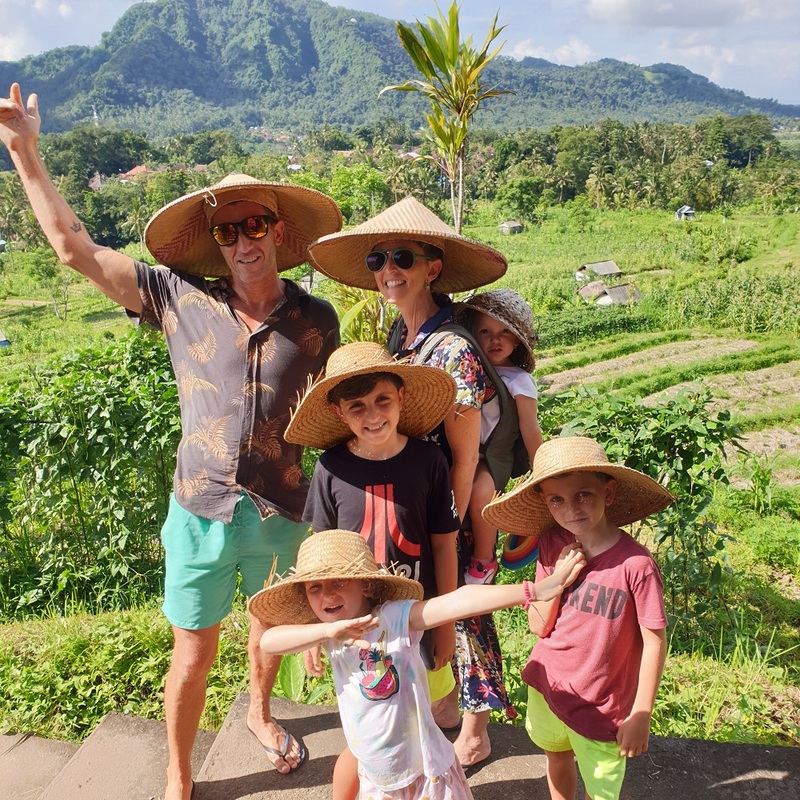 At this stage, you have already met the contributing bloggers – 13 incredibly experienced parents who love travelling with their kids. 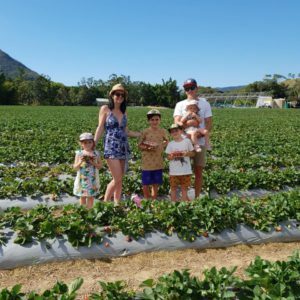 You have selected your destination, saved heaps of money when booking your transport, found some epic family friendly accommodation using some great online resources, and have planned your sightseeing itinerary. Now it’s time to get down to the practical, with this helpful list of vacation packing tips and tricks. I hate packing, and I love it. It’s a total dichotomy! On one hand it’s so exciting knowing that your trip is about to become a reality, and you imaging yourself wearing each outfit in that exotic location….. On the other hand, I completely agonise over each carefully selected item, will I need it, will I not, will my bag be too heavy? Have I packed enough, or have I packed too much? What if it rains, what if it is cold? What if the kids get sick????? So yeah, I have a love/hate relationship with packing. And as the mother in this family, most of the agonising falls to me. 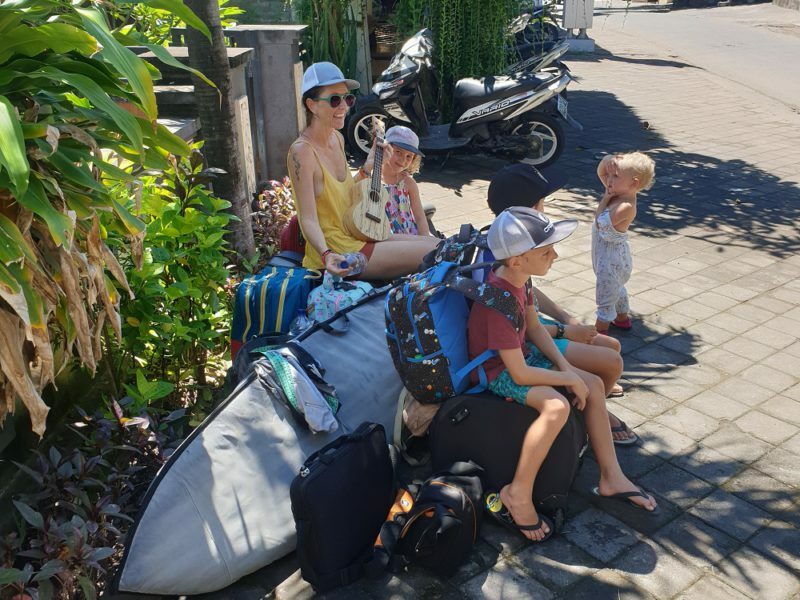 How I wish I had found these vacation packing tips and tricks before packing for the trip we are on now, our 2 year trip with kids through South East Asia! I could have saved some agony for sure. Go and give us a follow on Instagram right now to keep up to date with the latest on our trip. We are currently in Bali, but head to Thailand next week! We left our home in Australia with all of our belongings packed into a couple of small suitcases for our year or two of travel. With 4 kids, this was no easy feat! We have a detailed list of what went into our bag here. Packing Cubes are the Best! 1) Packing cubes are by far and away the number one best way to pack, especially when you have a lot of people to cater for. We got ours from Amazon. Each person has their own colour coordinated set, with one bag containing 5 sets of clothing, and a smaller bag for socks, underwear and swimwear. 2) Perhaps my favourite thing about using packing cubes is that we don’t need to unpack all the time. For example, right now in our closet, there are lots of packing cubes already filled. For example, one contains the children’s travel toys (toys they don’t play with at home). Another contains travel size washing up liquid, an elastic washing line and all the other laundry items we need only when we’re on the road. Another is a travel First Aid Kit and so on. This system saves me so much time. I know that when we go on holiday next that all I need to do is fish out the already packed cubes and add some clean clothes. Try it, it’ll save you hours. 3) Packing cubes come in a variety of sizes. We have little use for the large. We rarely use the mediums. But we’re crazy for all the options offered by the small and slim (long and skinny) sizes. 4) Because there are so many color choices, you can color code in numerous ways. Color code each member of the family. Color code like items as in all kids shirts go in blue and all kid shorts go in red, etc. Or you might assign colored packing cubes to each day of your vacation ROY-G-BIV style. Everyone’s Monday clothes in red, Tuesday in orange, etc. 5) You should make your clothes fit the cube. This may mean laying all items flat, folding them in unusual ways, or rolling them. Experiment with the cube size and the folding until you get it just right. 6) Make the packing cubes fit the luggage. Experiment with various configurations until you get the most out of it. This might mean one bag uses one medium, one small, and three size slim packing cubes. While another piece of luggage uses two smalls and four slims. 7) Also, packing cubes can serve as drawers whenever you go. Or you can actually unpack, then use them in reverse for dirty clothes. Zip Lock Bags are Useful too! 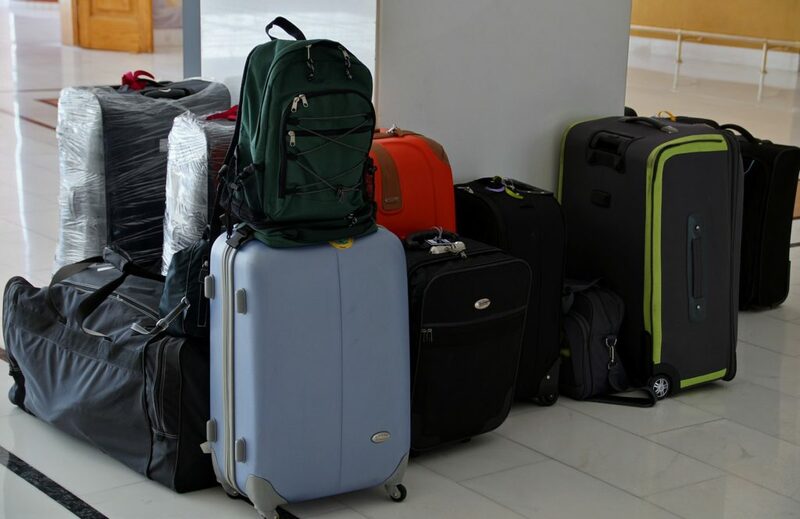 9) Once you are on your trip, get rid of anything you haven’t been using in order to make your bags even lighter. We always find that you only really wear the same few items over and over again. We love donating clothes to host families for example! Deb from World Wise Kid definitely believes in Travelling Light! This means it’s fast and easy to pack up and go to a new destination. It’s easy to find what you need quickly. We off-load clothes, pamphlets and maps as we travel. We take lots of photos and few souvenirs. One of the greatest parts of traveling is minimizing. 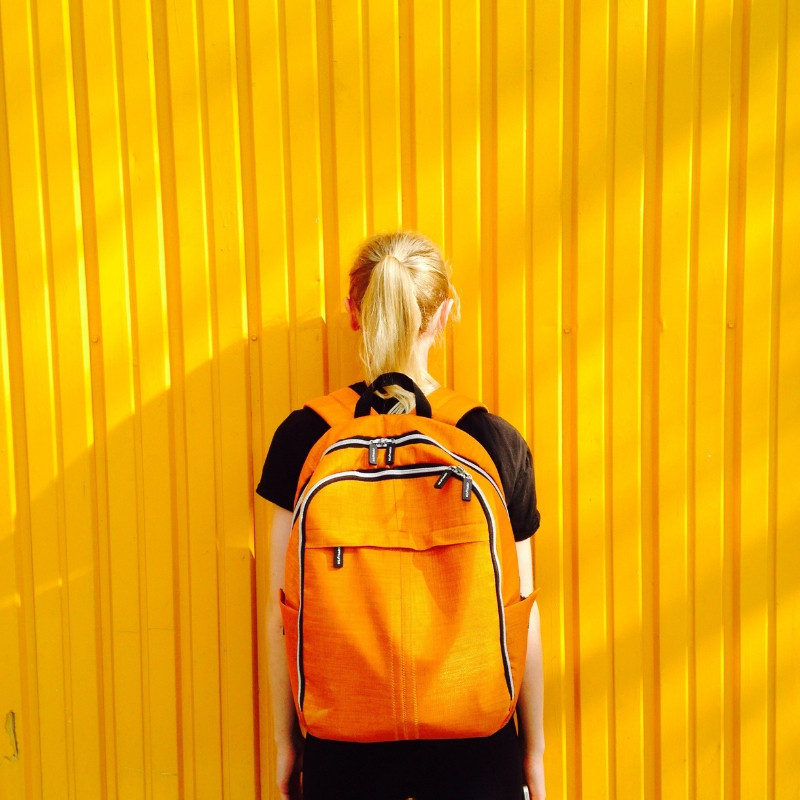 Knowing you can survive for weeks on just the basics on your back is empowering. Packing light does involve conscious planning and investing in high quality gear. 10) Backpack. 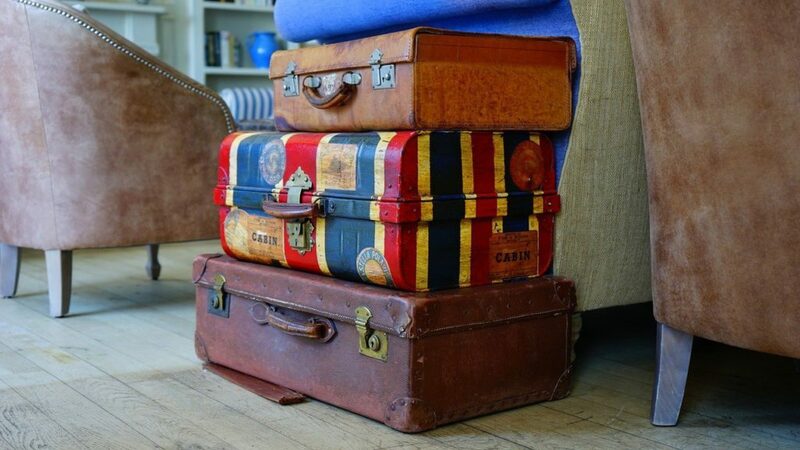 Unless we are travel camping, we carry on our luggage. We know our personal items are safe and will arrive with us. We love Osprey packs with their synching straps, padded electronics sleeves and thick hip belts. These packs give us maximum flexibility when finding our lodging down a cobblestone street, across a rice field or over muddy dirt roads. 11) Ultra-light. All items must be as light as possible – no big jackets, no heavy shoes. Down jackets are perfect (and currently conveniently fashionable!) A lightweight waterproof shell is an insulation layer and a must for day packs. We carry thin sarongs instead of bulky towels. 12) Educational tools. It’s hard to leave the paper travel guides and books behind but for minimalist travel, we have converted to ebooks on the Kindle and tablets. A library subscription gives us access to print resources. We use downloadable audio guides to destinations, and supplement studies with podcasts and YouTube videos. Each of the kids carry only an academics notebook and a journal/sketchpad for studies. Sarah at State by State minimised for RV life. The best tip for packing, whether it’s for a family vacation or living in an RV full-time, is to pack light. This can be a challenge when you have kids. They just seem to need a lot of stuff. Diaper bags, toys, books, extra clothes, it all adds to the space and weight when packing. 13) When we decided to move into our RV we had to do some major downsizing. It was difficult to decide what would come with us. The decision ultimately came down to how useful an item was. If something has multiple uses it makes it that much more appealing. Consider how you will use the item you are packing, if it is absolutely necessary, bring it. 14) Sarah also remarks: Often we think we will need something, then end up never using it. It is amazing what we really can live without. The less you bring with you means the less you have to keep track of and the less you have to bring back with you. Try to stick with the necessities and not over plan for every possible disaster. 12) When travelling for a long time, less is more. Have as few bags as humanly possible. 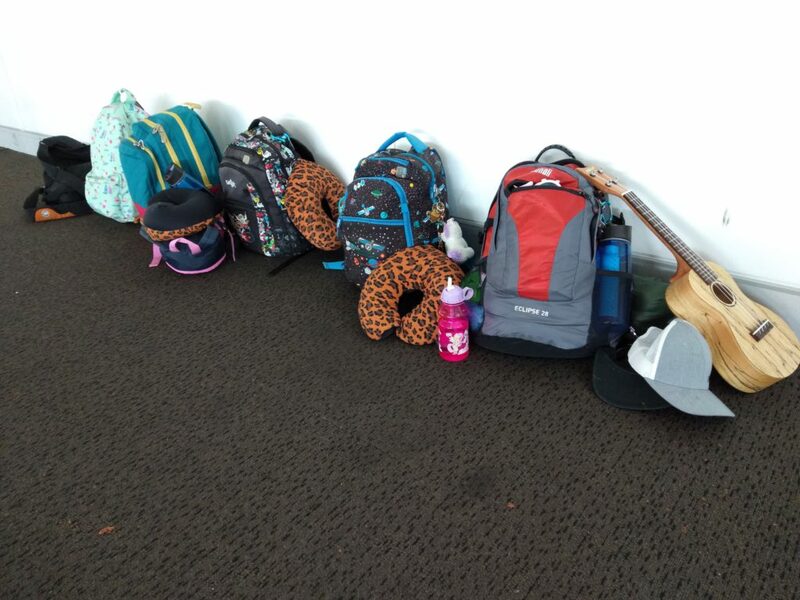 There is nothing worse than getting off a plane with a bunch of kids, all refusing to carry their own backpacks, so Dad ends up being a pack horse while Mum headcounts the kids and the bags! Can you picture Gadsventure doing this? Haha! We have learned from a few failed trips not to take too many bags. How many carry on bags is too many? 13) Make a packing checklist, and then pack your packing checklist too, in case you lose your luggage! Nikki from Yorkshire Wonders agrees that taking carry-on is the best way to minimise your losses! 15) We travel frequently to Greece on a low cost airline. The flight ticket allows one carry on each and any extra bags need to be paid for. We usually just pay for one bag and then each take a good sized carry on. Usually we can check in the carry on at the travel desk for no extra cost which saves a great deal of money. My tip is to divide the family’s clothes between the bags and then if one is lost at least you all still have some clothes! Check out Nikki’s post all about a family friendly trip to Greece. 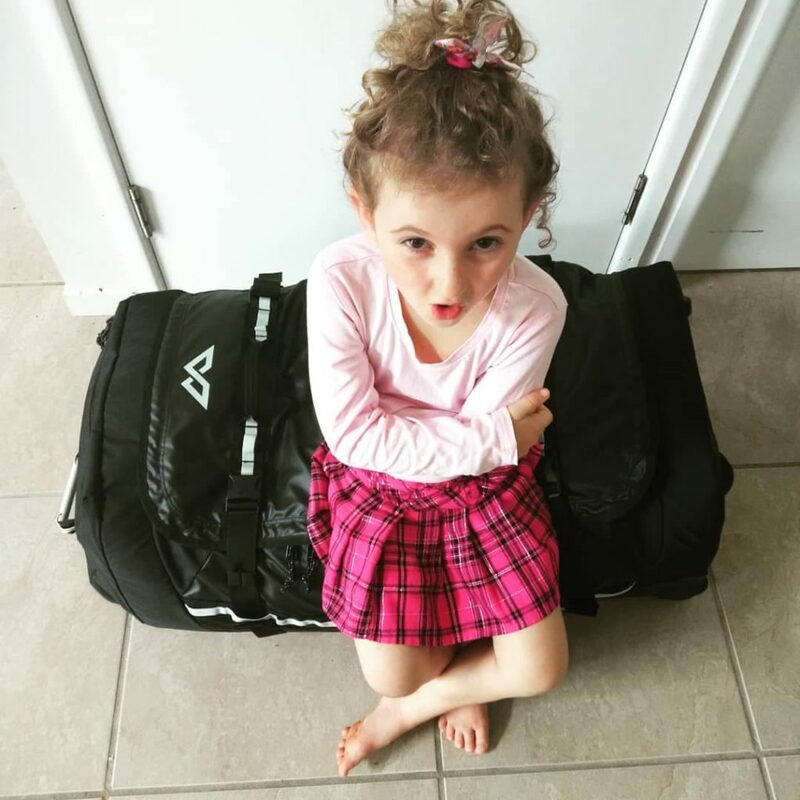 Tiffany at Mommy and Me Travels joins the carry-on revolution! 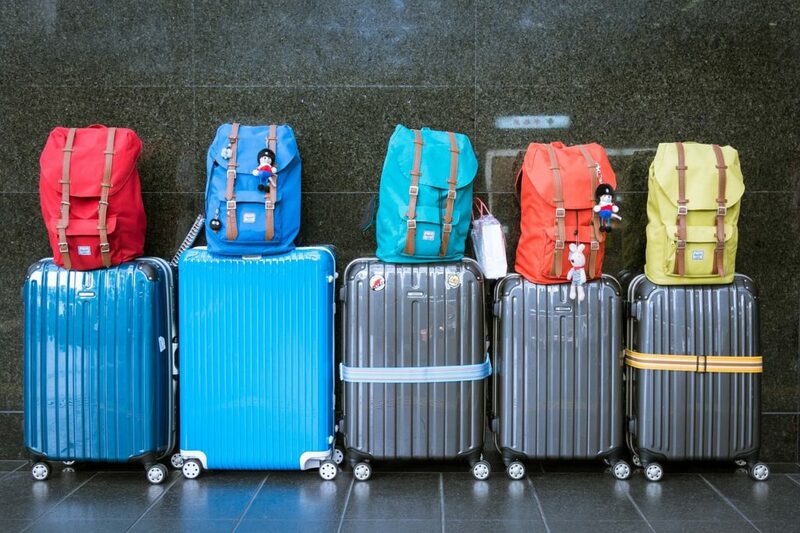 16) As airlines continue to add fees for everything, the largest cost is still a checked bag. No worries, you normally can get away with just a carryon for everyone. How you might ask, well easy, don’t try to pack the kitchen sink when you travel. Quick hitting packing list for each person: 2 (maybe 3) pairs of pants, 4 shirts, 7 pairs of underwear, 1 swimsuit, 7 pairs of socks. Annette loves carry on too, but makes sure she double checks what the kids have packed! 17) We can usually pack one carry on per person. This way we avoid any fees that are associated with airline baggage. It’s also very nice if we are driving because our luggage takes up so little space and leaves extra room for all 7 of us. 18) Get ready to teach your kids life skills that will last a lifetime by teaching them to pack when they are young for camping trips or overnight sleep-overs. Teaching kids to pack for an entire trip, regardless of length or destination in just a carry on is doable! I’ve used the same checklist for nearly 15 years and it has never failed me (or the rest of the family). It’s simple and easy enough for most 7-year-olds to do practically by themselves. The key is to give the kids the list and let them create their ‘outfit piles’ according to the list. Then, before it all goes in the carry-on, it is checked by an adult. Finally, outfits are put into a zipper-lock bag and it’s done! 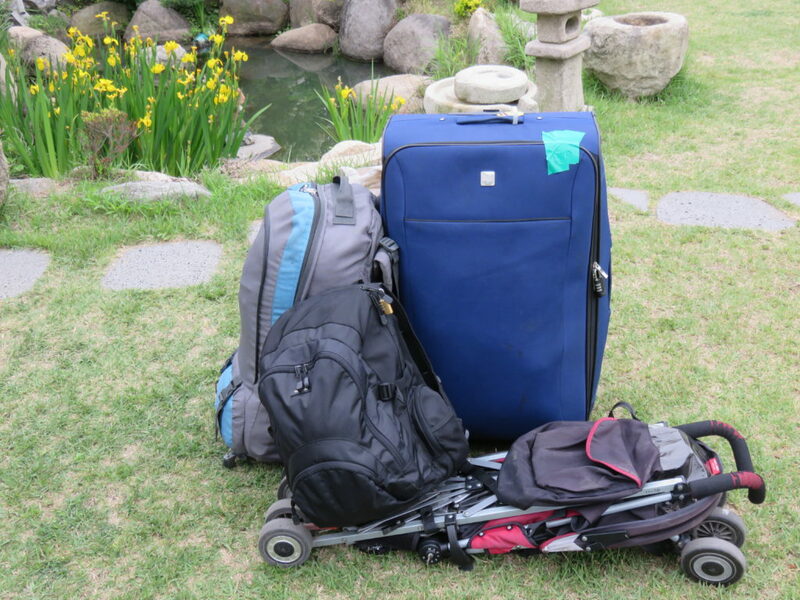 This method has worked so well for our family that we have been able to pack for 3 weeks in Switzerland (in the winter) using just a carry-on and backpack! You can grab the full packing tutorial here. 19) One thing Annette adds though is, make sure you check your kids bags if you let them pack themselves. You don’t want to arrive in Hawaii and have a bunch of winter clothes and no swimming suits packed! I usually make a checklist of things they need to pack so they can feel like they are independent, but I have them lay everything out on their beds and go and make sure they made good choices before they pack their bags. It’s a time-saver for us to do it this way. Annette is a wife and mother to 5 kids. She writes the blog, Tips From a Typical Mom. 22) Packing for a family of 7 is a daunting task but we have figured out a way to make it as simple as possible, especially when taking a flight. When we are choosing lodging, we make sure that they have a laundry facility available to it’s guests. That way we can pack a few outfits and do our wash on a night while the kids are swimming in the pool. Annette also has a tricky way to pack your jewelry so it doesn’t get all tangled. You can read that post over on her blog. Some super practical tips here from Grab My Passport! This is so helpful! Thanks Shannon! 22) On our recent week-long trip to Orlando, and our first with our newborn, I discovered Instacart and it was the greatest! I packed enough snacks and baby formula to get us through two days. Then, our first night in the hotel we signed up for Instacart’s free trial and placed our first order. We bought snacks, milk, bananas, yogurt, and baby formula. It arrived at our hotel lobby so quickly and everything was fresh! There are a lot of these types of services in the US, so check out what’s available in your travel area before you head out to help save some room in your suitcase. 22) Another quick tip we learned on our Orlando trip was all about taking advantage of checked car seats. Most airlines let you check a car seat for free, but they don’t specify that if you place your car seat in a protective carrier, that you can only put a car seat in it. We were able to toss a week’s worth of diapers in there with plenty of room to spare! Just tuck the diapers (or whatever) in the seat, buckle them in so they don’t get tossed around, and voilà, more space saved in your suitcase! Yamy, the main blogger of Gofamgo, is a registered nurse who travels with her elderly grandmother diagnosed with End Stage Kidney Failure and has to do daily dialysis while traveling. She needs to be prepared for anything! 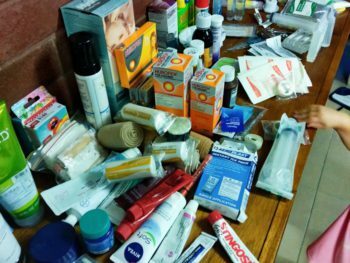 23) Aside from our set of clothes and toiletries, our luggage always has a medicine kit for the most common health issues you can encounter while traveling. One issue that I don’t want to deal with is figuring out where the pharmacy is in an unfamiliar place. Not to mention, if they even carry the medicine that I am used to. It even gets more complicated when you are traveling abroad, where the medicine might be prohibited or carried in a different formulation. 24) Make sure that if you are bringing a prescription-strength medication to bring a copy of the prescription with you. This is necessary during inspections in airport checkpoints, for example. 25) As a family who travels with an elderly with several health issues, we also make sure to bring a medical history packet with us. This packet includes her medical and surgical history, list of medications with dosages and frequencies, and a contact list for her medical team. That way, if something should happen while you’re on a vacation, the new healthcare team will have more time to address the health issue than doing guesswork. As a person with a lot of medical problems and disabled my packing is a little different than a normal healthy person. This means I have to make sure I have my medications and in an adequate amount for my trip and whatever equipment I need. I travel with a shower stool and a wheelchair. I also bought a foldable cane for travel. If I don’t have a lot of room to store it, it folds up! 26) My best tip is make sure your medications are in your carry on because if your luggage could get lost or held up you may not have your medications when you need them. 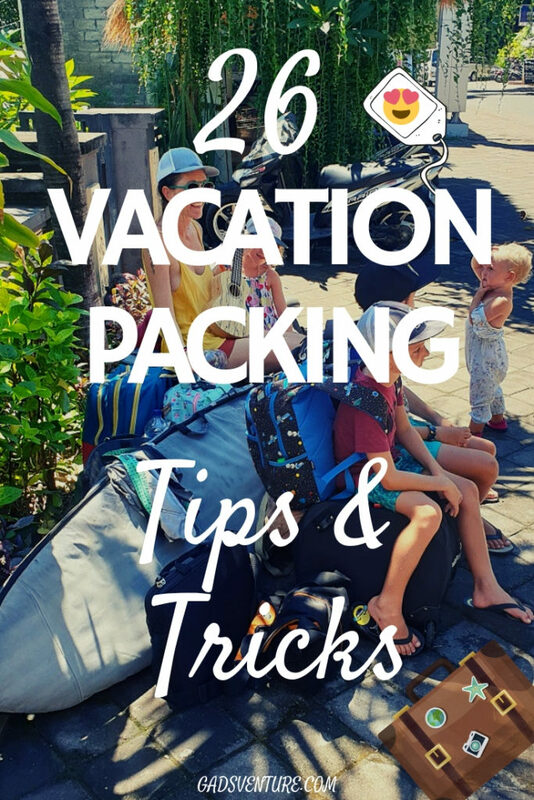 I have certainly learned a thing or two from this awesome list of vacation packing tips and tricks. Have you? What is the best thing you have found to help with packing? Remember if all else fails, as long as you have your passport and your wallet, you can usually buy whatever you need on location!!!! Week 6 is all about how to save money on food while travelling. On location in Asia for a long term trip with a family of 6 has certainly taught me a thing or two about this topic, and I can’t wait to share all our tips!